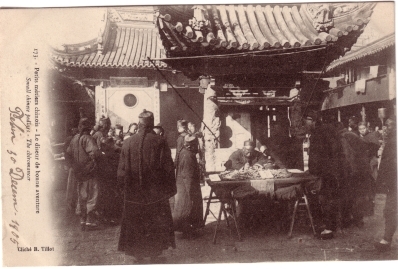 Action: In the walled city of Shanghai, stall of a fortune-teller in a temple courtyard with onlookers and customer. He is writing. His stall is set in front of a stove for burning paper offerings.